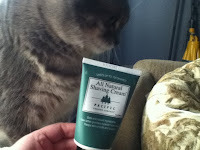 Just received a tube of Pacific Shaving Company's All Natural Shaving Cream in the mail. With any luck, I'll have a review posted within 2 weeks. Pacific Shaving's one of my favourite shaving-related companies. Their shaving oil is still my favourite shave oil - light, with a pleasant, mild scent, and it always gives me a great shave. If you haven't checked them out, visit them online at PacificShaving.com today! The best type of shaver for your head? The aim of the advice and suggestions I give on HeadShaver.org is to make it easier to have a close, comfortable, and convenient shave. 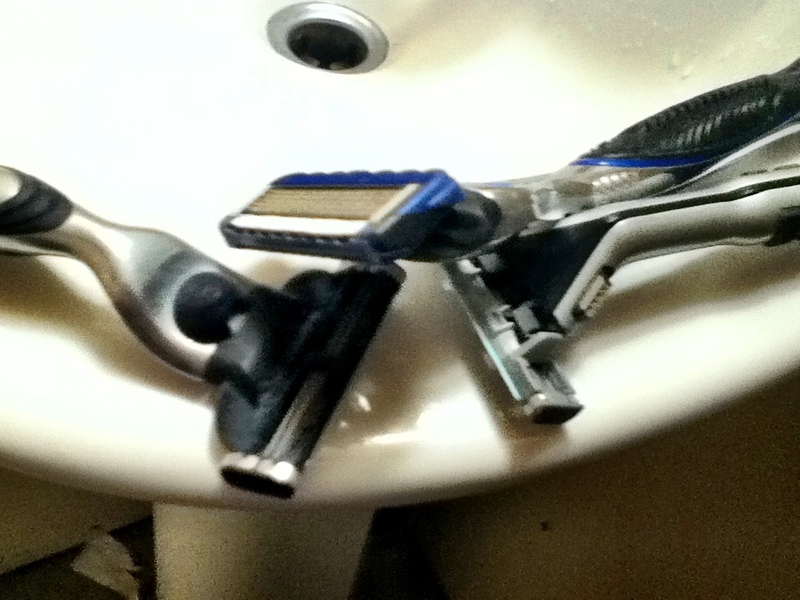 The question of what type of razor to use for headshaving is a pretty common one. So, what are your options? razor that uses disposable blades. The most old-school option is the straight razor. You've probably seen one of these on TV or in a movie, but may not have come across one in real life; they're something of a specialty item. They've been around for hundreds of years, and were once the primary way that people shaved. 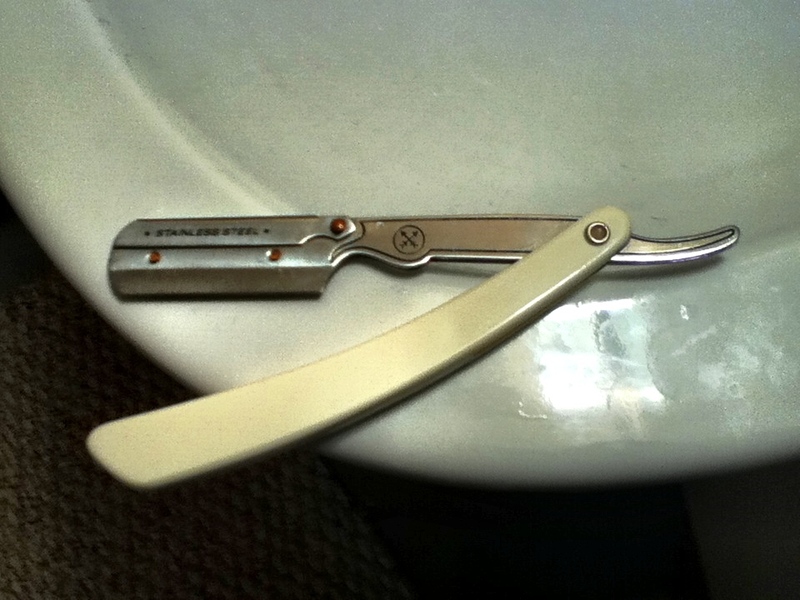 A straight razor requires skill and care to use - careless use can result in serious injury. Keeping the blade at a good angle (something like 30 degrees) is essential for good results. This can be a challenge sometimes even when you can see the shaving area (as when you shave your face), but shaving the scalp is even trickier. While it can be done (and you can find videos on YouTube of people using straight razors on their scalp), I don't recommend them for shaving your head. 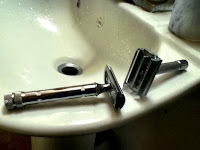 For everyday shaving, straight razors were largely supplanted by safety razors in the early 20th century. The double-edge safety razor is enjoying a resurgence these days, with a number of forums and communities that consider the DE razor to be the best way to shave your face. The razors are still a specialty item; the only place I can find them locally is at antique shops, but a number of online retailers sell them. One of the big draws to DE razors (aside from aesthetics) is that the blades can often be had for very reasonable prices - it's not unusual to find a pack of 10 good blades for under $2 at online retailers. Though the DE safety razor has a guard in place to prevent big gashes (making them considerably safer than straight edge razors), they do require some care and skill to use. The blade still needs to contact the skin at a good angle, for instance. Traditional wet-shaving enthusiasts usually recommend a multi-pass approach, shaving first with the grain, then across the grain (and sometimes against the grain) for a very smooth shave. You can certainly shave your head with a DE razor (I've done so in the past), but it's not something I recommend unless you're interested in the challenge and experience of it. While you're learning, it's pretty easy to draw blood, and it's fairly time-consuming if you want a smooth shave - it wasn't uncommon for me to take 30 to 45 minutes, and that was after much practice and effort. 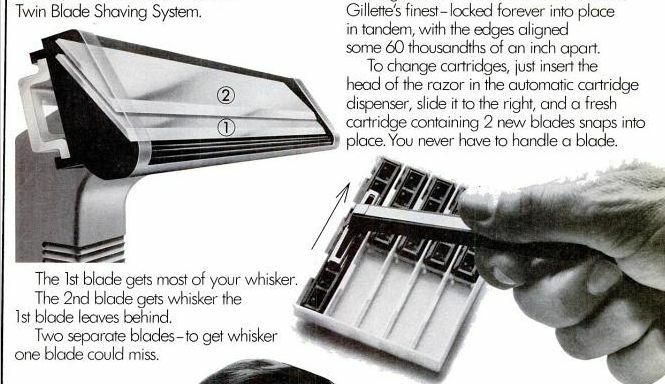 The razor you're most likely to see advertised in contemporary media is the cartridge razor. The current champion (in terms of TV time) is probably the Gillette Fusion ProGlide, but there are many, including Gillette's Trac II, Atra, Sensor, Mach 3, Schick's Hydro and Quattro, and various generic versions of these razors. The great innovation of the cartridge razor is that it holds the blade at a fixed angle relative to the position of the cartridge, and that it holds the blade at a fixed distance to the skin. This essentially reduces the skill required to shave, and makes it possible to shave more quickly and with less chance of nicks or cuts (though it is still possible to draw blood; you should never be careless with a sharp blade). Some models have a fixed head, but most have a pivoting head that changes position for you as you move over the curves of your face and scalp. Another popular shaving option is the electric shaver. Unlike the other types of razors mentioned here, electric shavers can be used without wetting the skin, which can be very convenient. Their design also generally precludes nicks and cuts, though some people do find electric shavers irritating on their skin. It's easy and safe to use an electric shaver on your scalp. I spent most of the past 3 years using one as my primary shaving device. The only downside is that electrics generally do not shave as close as a blade razor. I've tried a number of different models over the years, and while you can get a pretty close shave, it's never quite as smooth as I really prefer. 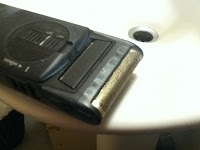 When all is said and done, I recommend the cartridge razor for headshaving. 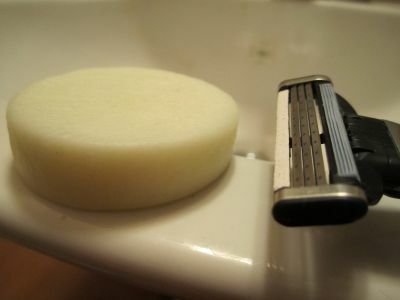 They are easier and quicker to use than straight or DE razors, and they shave closer than electric shavers. I also really like shaving with oil, which provides a great shave and moisturizes your head. SirHare.com creates some great products for Bald heads. The question of which cartridge razor to use? As with many things, it comes down to personal preference. I've used quite a few razors over the past decade-and-a-half of shaving my head, and I can honestly say that almost all of the cartridge razors I've used are capable of giving you a good, close, comfortable shave. Use whichever one you're already comfortable with. Is anything as entertaining as a good revenge story? 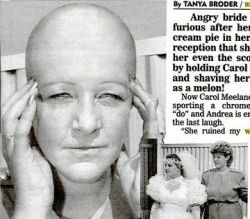 Angry bride Andrea Braysted was so furious after her sister Carol smushed a cream pie in her face during her wedding reception that she got three friends to help her even the score - by holding Carol down and shaving her bald as a melon! The story describes the wedding, Carol's smushing of the pie into Andrea's face, and how they're no longer speaking to each other. Most of the time when I shave, I aim to get my scalp as smooth as I can. When I'm done, it's usually slick and frictionless, which feels great when I'm running my hand across my skin. It also means that my scalp is at its most reflective (ie. shiniest), which isn't always the best look. Also, my toque (knit cap, for any non-Canadians) sometimes actually slides off, since there's not enough traction to keep it in place. Completely smooth isn't actually my favourite scalp texture, though. Somewhere between 12 and 24 hours after that first smooth shave, a bit of hair has grown back and my scalp has an entirely different feel to it that I quite enjoy. My toque stays in place, the appearance is a little more matte, and I haven't yet hit that rough-and-tough feel that I prefer to avoid. Sometimes, especially when I'm in a hurry, I won't make the effort to shave completely smooth. Instead of shaving against the grain and going over rough spots until it's completely slick, I will stick with one pass of the razor. It's an easy, quick shave, and sticking with one pass means no irritation (as long as your pre-shave preperations are adequate, of course). It also means that I have that slightly-roughened texture sooner, which I don't mind at all. The only real disadvantage to this approach (for me) is that I usually have to shave again the next day - when I go for a completely smooth shave, I usually only shave every second day. What's your preference when it comes to smoothness?